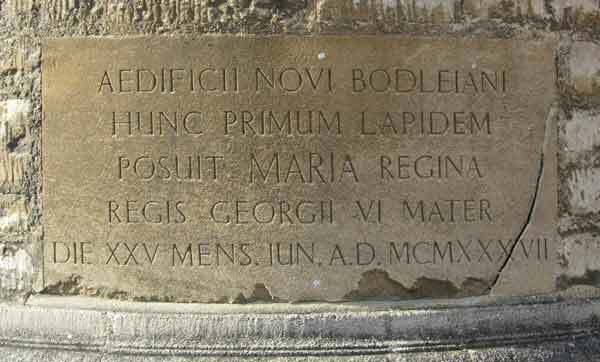 This inscription was set low on the wall of the New Bodleian Library (now renamed the Weston Library) on the corner of Parks Road and Broad Street. When Queen Mary’s son George VI came three years later to open the library in 1940, the key unfortunately broke in the lock. 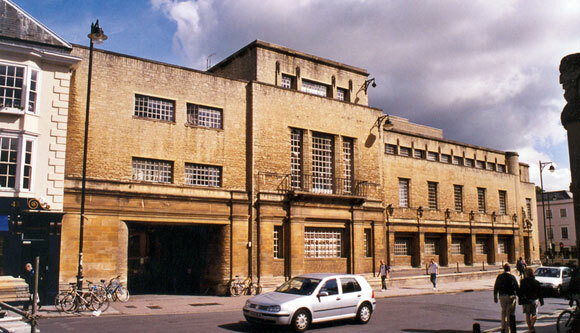 Jan (then James) Morris said of the building: “If you are in your fifties, nothing will reconcile you to the Bodleian extension at the end of Broad Street, which looks like a well-equipped municipal swimming bath, and replaced a nice corner of jostling old houses in the late 1930s.” Nonetheless, it is now a Grade II listed building.